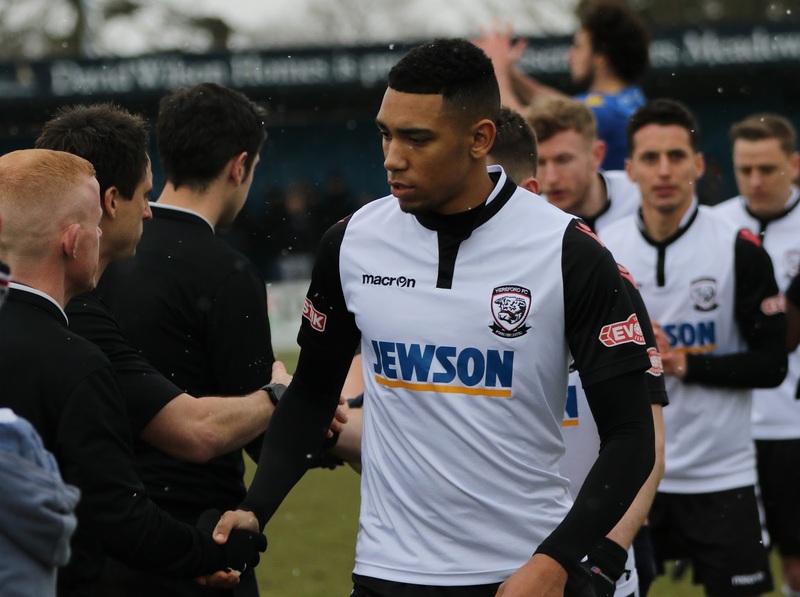 Defender Jordan Liburd will captain Hereford in their first season in the National League North and is hoping to lead Hereford to another successful season. Manager Pete Beadle said the 23-year old will be able to lean on the shoulder of vice-captain Ryan Green for advice on being a skipper. "Jordan epitomises what we’re asking for, his manner on and off the pitch is superb, his performances are hugely consistent and since he’s been here he’s gained more and more respect from the players, they look up to him," Beadle told the official website. "I don’t think we could have picked a better captain. Defender Liburd called it a great opportunity and a big responsibility. "I’m very proud to be given the armband, Hereford is a big club and it’s a great opportunity for me to captain such a big team," Liburd wrote in his programme notes for Saturday's league opener. "I see it as a big responsibility, and hopefully, I can lead the boys onto another successful season."